This exclusive formula features organic, superfruit Acerola, which is rich in Vitamin C and antioxidants. It also includes Agave Ferment which binds moisture to hair. Together, these ingredients protect your hair follicles against heat damage from UV rays and styling tools. All hair types will experience a silky sheen with this blend of Barbados Cherry and Aloe Juice which help control flyaways and frizziness while adding gloss and softness for flexibility. NATURAL SILKY SHINE: Featuring Aloe Juice with a botanical extract blend of Agave and Barbados Cherry - our blow dry styling cream will enhance the natural beauty of your mane. It will protect hair with its powerful antioxidants and Vitamin C.
CONTROL FRIZZ, ADD LUSTER: Achieve bouncy, manageable hair with our blow drying creme, designed to fortify follicles for flexibility, smoothness, and frizz control. Thick or fine hair will be nourished and protected from UV rays and heat styling. 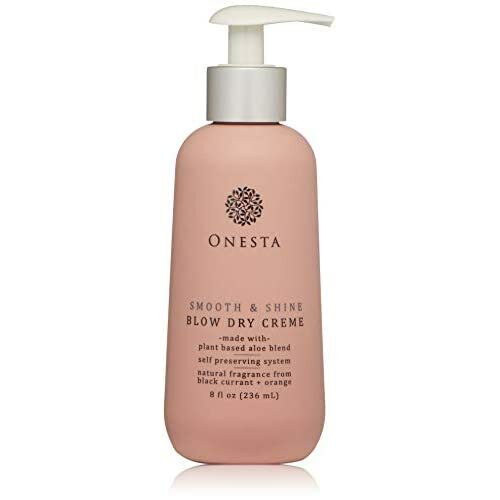 EASY TO USE: Onesta’s restorative blowout cream can be used daily. Distribute through damp hair, then blow dry out. Use a curling or flat iron if desired. For a wavy style: scrunch, diffuse or air dry. It can even tame frizz when used on dry hair. ORGANIC, PLANT-BASED FORMULA: This blowout styling cream is made with a plant-based aloe blend and a self-preserving system, with a natural perfume of black currants and oranges. It is free from parabens, sulfates, synthetic fragrance, and dyes. 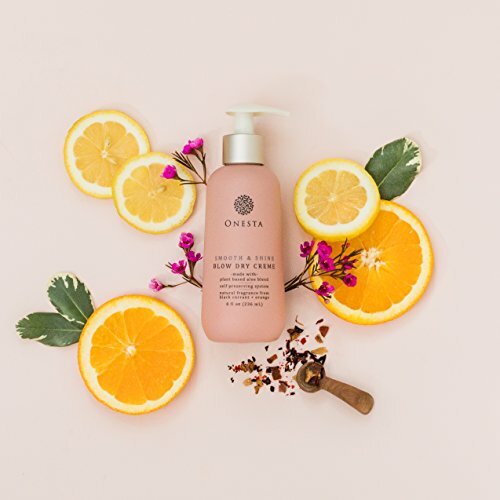 ONESTA MEANS HONESTY: Our line of products are safe, professional, and cruelty-free because we are passionate about nature, wellness and beauty. At Onesta, we promise to create naturally powerful hair products to promote naturally gorgeous hair. Onesta Means Honesty. It's our name and our promise. We are a family passionae about nature, wellness, and beauty. We create naturally beautyiful hair using sustainable and safe ingredients.